The Belgian Air Force C-130 fleet will be gradually replaced by the Airbus A-400M. On December 27, 2017, the Belgian Air Force retired its first C-130H Hercules. The aircraft, registered as CH-08, had entered service in 1973 and completed 22,219 flight hours. 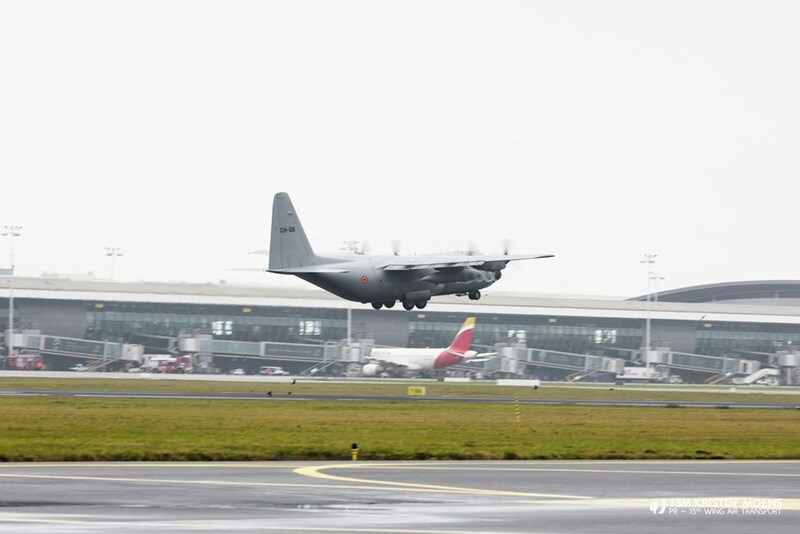 It was assigned to the 15th Wing Air Transport which is based at the Melsbroek Air Base in the northern side of Brussels International Airport. The Belgian Air Force bought 12 C-130H transport aircraft in 1970 to replace the Fairchild C-119G Flying Boxcar. The first Hercules was delivered in mid 1972 and was assigned to the 20 Smaldeel at the 15th Wing. In 2009, the BAF purchased another Hercules due to the loss of two aircraft in accidents. It was a former USAF C-130E that was updated to the C-130H standard. Initially, all the Belgian Hercules had received the Lizard camouflage color scheme that was replaced by a grey color during the mid-life update (MLU) program. The C-130 fleet will be gradually replaced by Airbus A-400M aircraft from 2020. Belgium has bought 7 Atlas which will be delivered between 2019 and 2020. Currently the BAF has 10 Hercules still in service.